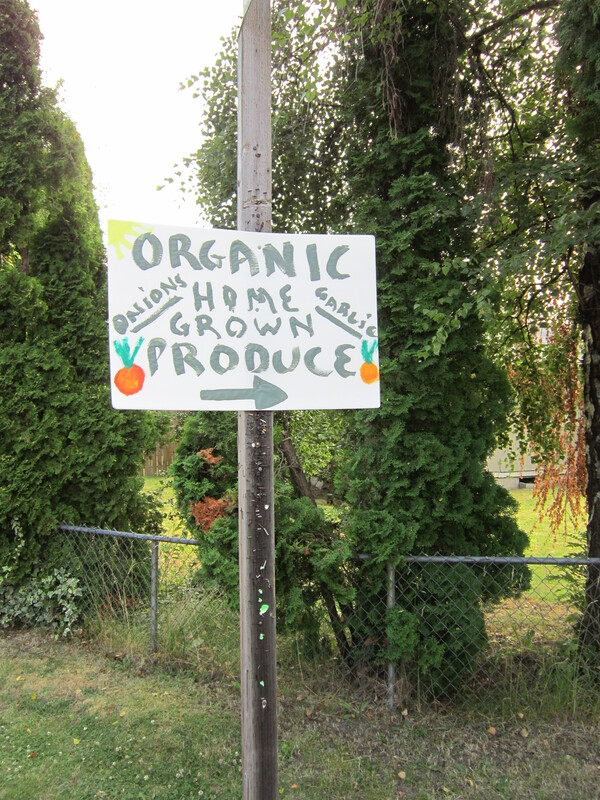 Cascade Neighborhood-a Local Food System in action? Today, I took a walk around the Cascade neighborhood of Renton with my kids. We spotted a couple of signs of healthy local food system developments-a school garden, and fresh homegrown produce for sale. 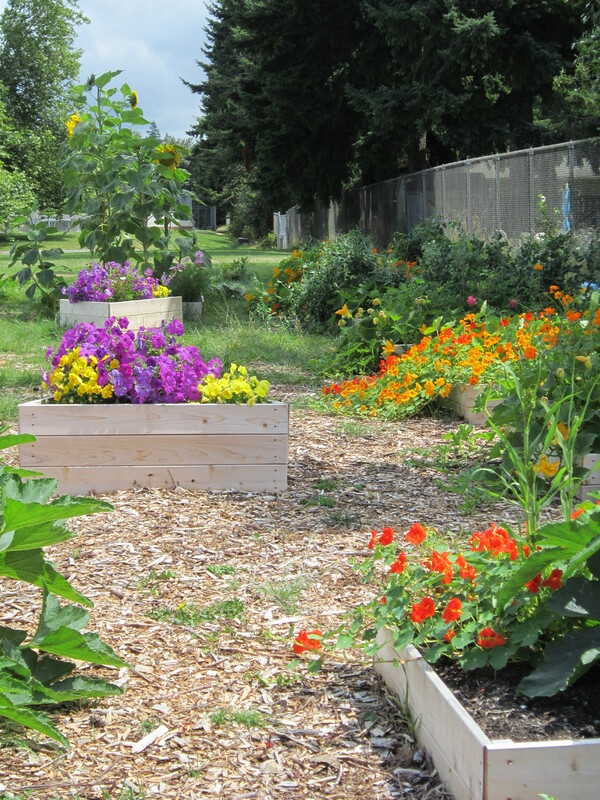 The gardens are at Renton Park Elementary. They are bursting with color. Each classroom has their own raised bed. The kids are going to have a great time in the Fall exploring what they planted. And the produce is being sold from someone’s home-but I wasn’t able to find it today. I’ll have to go exploring further another day. Seen on SE 168th St.
It’s nice to see these simple ways to reconnect with our sources of food. What have you spotted in your neighborhood? 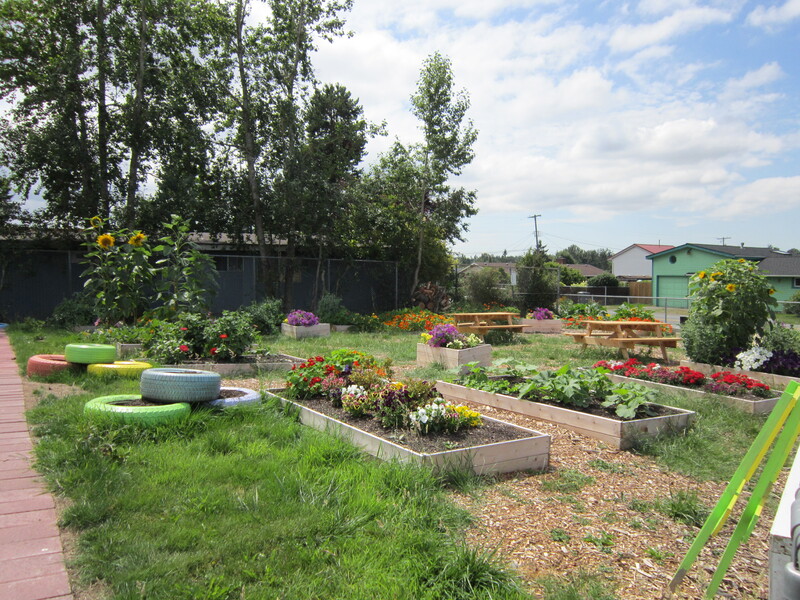 Posted on August 1, 2012 June 11, 2013 Author Sustainable RentonCategories Local Food SystemTags Education, GardeningLeave a comment on Cascade Neighborhood-a Local Food System in action?